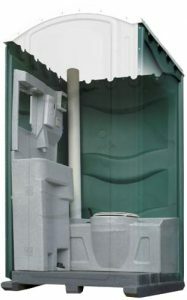 The ultimate design for a recirculating flush style tank, operated by means of hand pump with a large H + S compliant sink. This wash station includes a large wash hand basin with hot and cold feeds, courtesy light and mirror. Recirculating flush style tank operated by hand pump, large H & S compliant sink includes 3KW water heater, courtesy light and mirror. 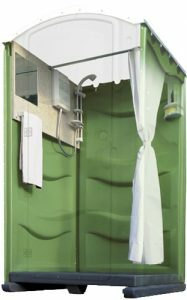 This shower cubicle has cold water mains supply with 7KW water heater with temperature and flow control, with a privacy shower curtain, vanity unit, mirror and towel rail. 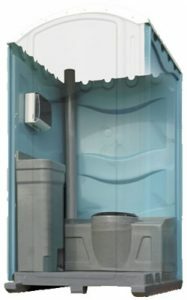 A hand pump operates the recirculating flush style tank and includes a standard foot operated wash hand basin. 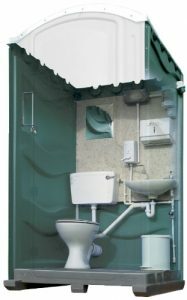 A porcelain wash hand basin is fitted in this unit and includes hot and cold water supply. 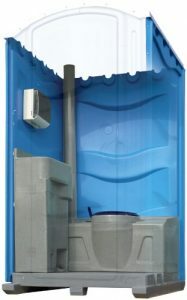 There is also a waterproof light, mirror and secured toilet roll holder. 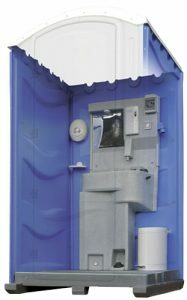 This unit is incorporated with a standard drop tank chemical toilet with a foot operated wash hand basin. 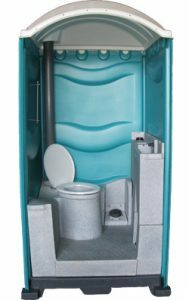 This design of chemical toilet benefits with a large waste tank capacity, large HSE wash hand basin with a foot operated flush.